Do you have family members with different style tastes? 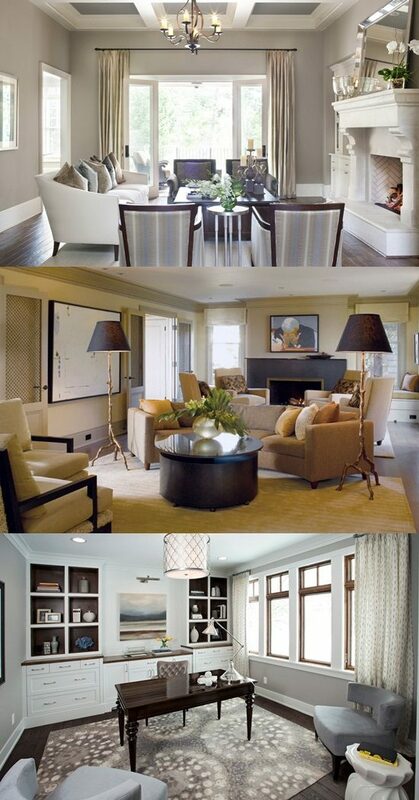 The transitional home style will be an ideal option, as it is not too fussy, not too cold, and not too formal. You can create a balance between the contemporary and traditional styles or use a few pieces from a certain style because most of your family members prefer the other style. 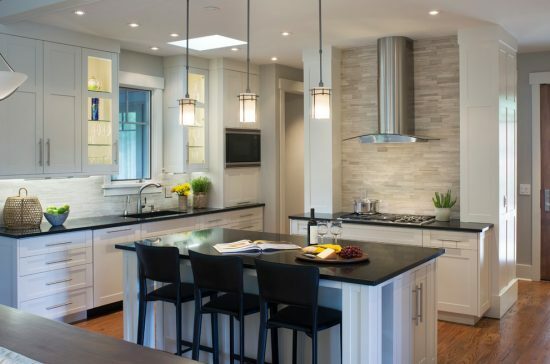 If you feel that you may create a cluttered and unmatched look, the designs of popular designers such as Allard and Roberts in North Carolina will certainly inspire you greatly. 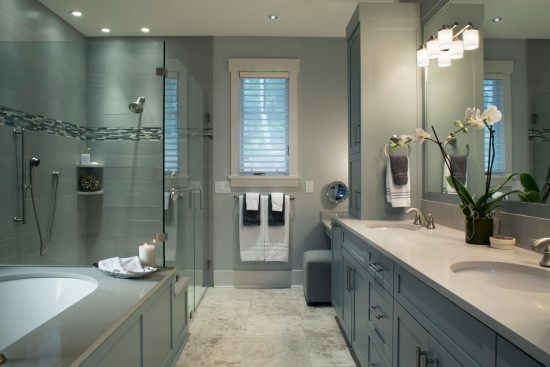 In the Crocket Ridge residence, Allard and Roberts’s team create a mount cottage home with interior modern elements such as the kitchen glossy black countertops, stainless steel and glass hood, the clean lines, the honed wooden white mosaic backsplashes, and the neutral colors in the bedroom and master bathroom. At the same time, the traditional architectural details and furniture pieces provide such a transitional home a creative and luxurious look. 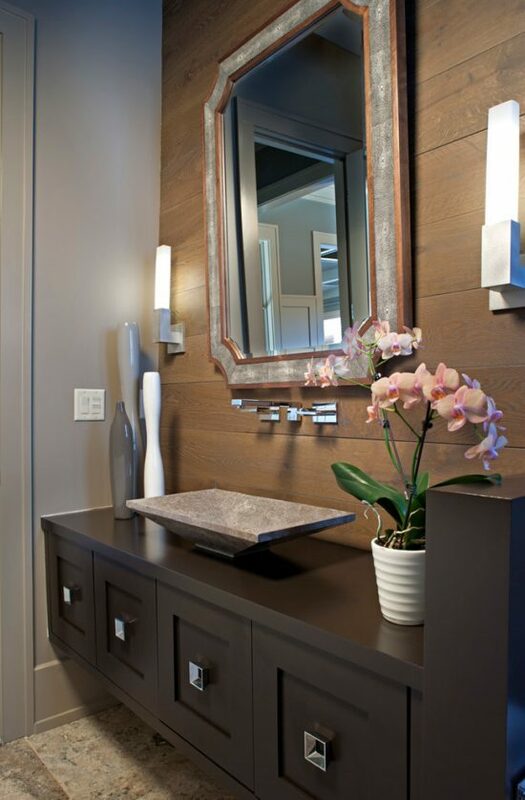 If your family members love the modern style with touch of traditional elements, you can inspire your design from the Ramble, where the designers use clean lined cabinets, mirrors with glass beads, leather-covered furniture, wooden wall panels in the bathroom, and dark and light neutral colors with pop of bold colors in the bedroom. In such a transitional modern home, the designer uses a cottage coffee table and dressing table to create a sense of balance in the place. 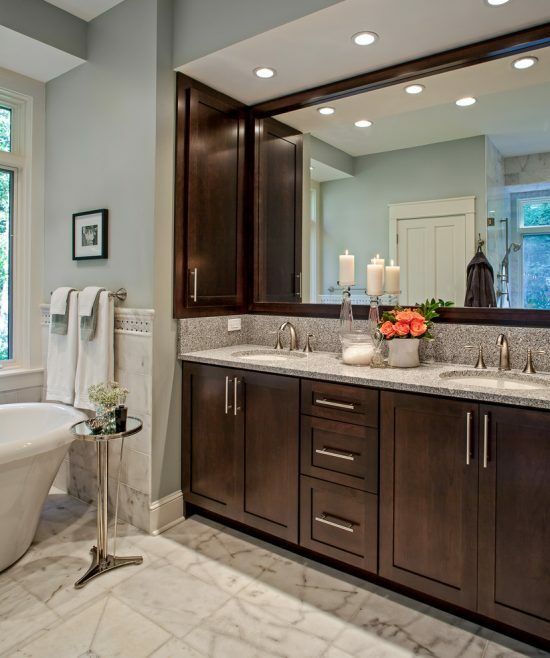 The transitional home design is perfect in a home surrounded by natural views. In the Elk Mountain area, Allard and Roberts renovate a retreat house using natural materials mixed with modern elements to create a peaceful look. 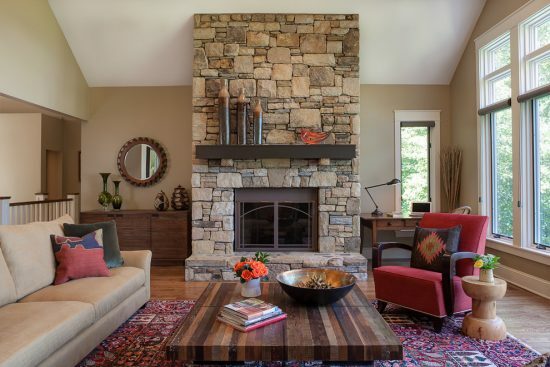 For example, the team creates a focal point using Tennessee Fieldstone, a dark brown mantel, a traditional fireplace, hardwood floor, and reclaimed wood coffee table. 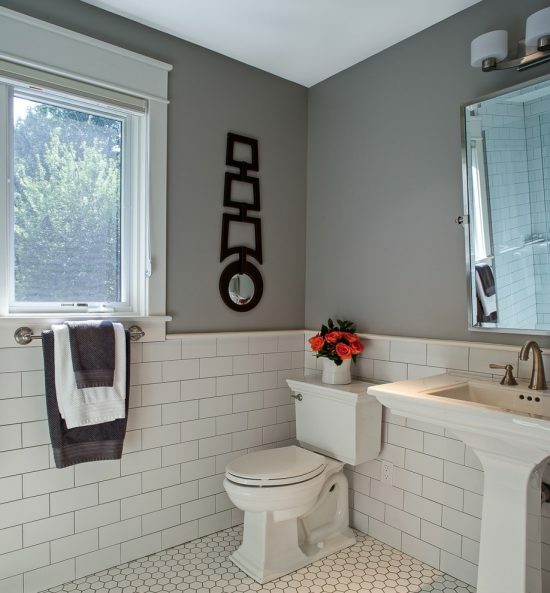 Most of the home is painted grey and creamy colors with granite countertops, white subway walls, hexagon floor tiles, and Carrera marble tiles in the two bathrooms.